Lackluster skin is something I associate with winter. I think that it is one one hand the fact that the cold, the drying heating, the wind (particularly if you live here in the Netherlands) all contribute to hassled, dry and dull looking skin. I also think that in the summer we are more likely, at least I am, to us highlighting and glowy products. 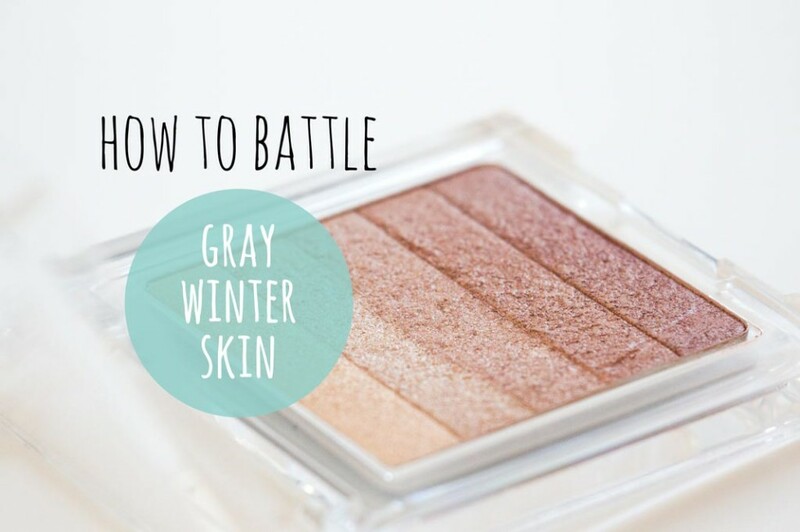 In an attempt to get your to look fresh and your skin happy even in the middle of winter here are some tips for how to battle gray winter skin, and here I mean tips beyond moisturizing. 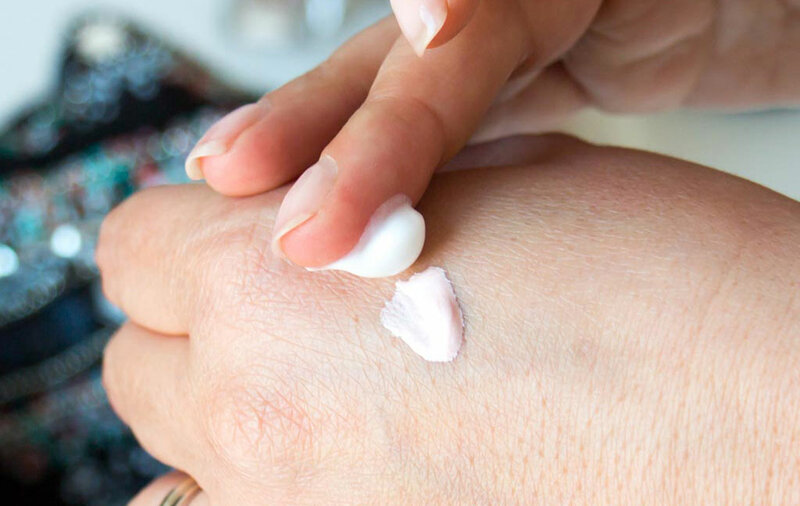 Because moisturizer is your best friend. Don’t skip this step in your skincare routine, it is important for removing all the dead skin cells and flaky bits and will leave your skin feeling fresher and happier. If you are like me and you like you AHA of BHA exfoliators then you know what I will recommend, yes, yes Liquid Gold…If you do prefer something a bit more traditional and grainy, particularly if you like to wake your skin up in the morning the the Origins GinZing Refreshing Scrub Cleanser might be a good choice. If your skin is looking a bit dull, find one that is brightening, but that won’t strip your skin of its moisture. I tone with my usual Clarins Iris Alcohol free toner in the evening but love to use Caudalie Eau De Beaute in the morning. If you feel you need an extra boost then the Daily Energiser Wake Up Booster from the same brand is a great option. Even if you apply foundation over this adding a liquid highlighter to your moisturizer will create that “glow from within” effect on your skin. This is a super time saving tip because you won’t have to apply layers of products, just add a couple of drops, mix it in, and you are good to go. I prefer this to mixing in highlighter with foundation because it is more subtle, but if you want the full glow effect than that is a good option. Use a foundation that has a dewy or luminous finish, not something that is very matte. Then if you have oilier bits powder only then to mattify but leave your cheeks glowy. 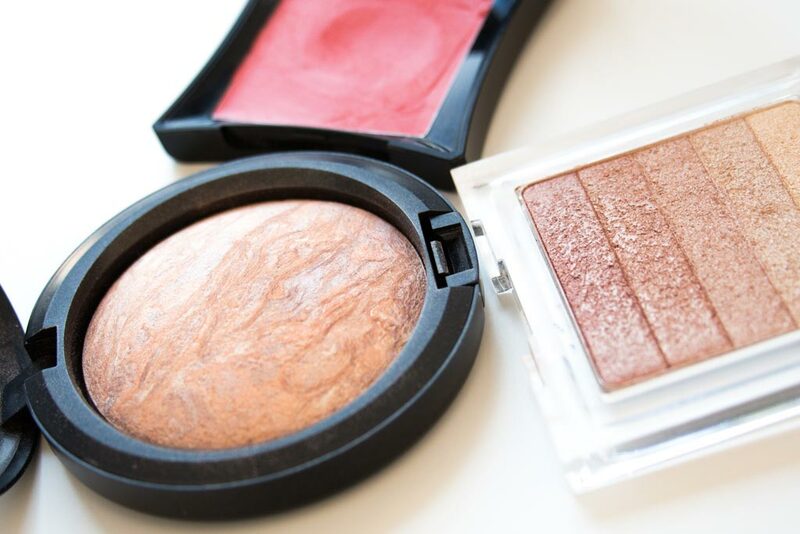 Use a cream blush instead of using powder. This is particularly handy if you have dry skin, don’t use a powder blush on top because it will just ruin the beautiful creamy effect. Rather than applying shimmery blushes, which if you have any fine lines might just accentuate them, add the smallest amount of highlighter to the highest points of your cheekbones and right on the brow bone underneath your eyebrows. This will light up your whole face! It is a Physician’s Formula shimmer strips in Vegas Lights! It’s very lovely indeed!